The first widely-known laser display was the “Laserium®” show presented in planetariums. In 1973, filmmaker Ivan Dryer had tried to capture the ethereal beauty of laser light in a movie. But the film stock could not adequately record the glittering coherent light and its saturated colors. He decided to bring lasers into a darkened environment – the planetarium – and to set the colors swirling to music and a star background. Laserium was an instant hit. In fact, it became the longest-running theatrical attraction in Los Angeles, marking almost three decades from 1973 until the Griffith Observatory was closed in 2002 for a three-year renovation. Dryer and others soon developed other entertainment uses for lasers, such as special effects at concerts and sporting events. He also helped found the International Laser Display Association, and received the very first ILDA Career Achievement Award, in 1989. A 2016 profile of a Laserium laserist can be viewed here. A free online book by laserist Glenn Thomas is here. Laserium was an instant hit. 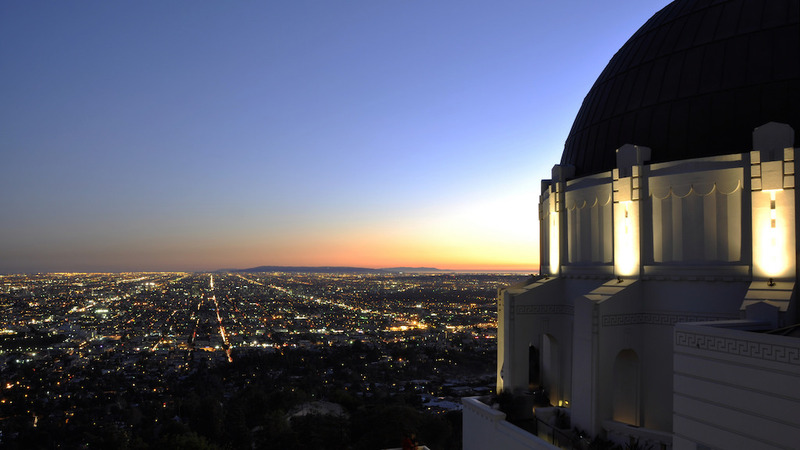 In fact, it became the longest-running theatrical attraction in Los Angeles, lasting almost three decades from 1973 until the Griffith Observatory was closed in 2002 for a three-year renovation. Dryer and others soon developed other entertainment uses for lasers, such as special effects at concerts and sporting events. He also helped found the International Laser Display Association, and received the very first ILDA Career Achievement Award, in 1988.